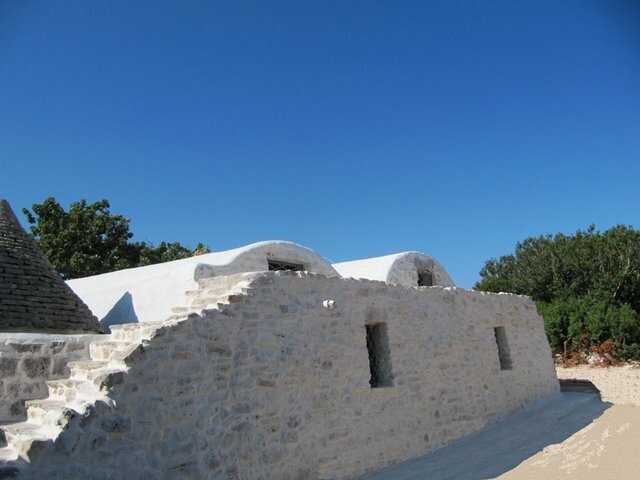 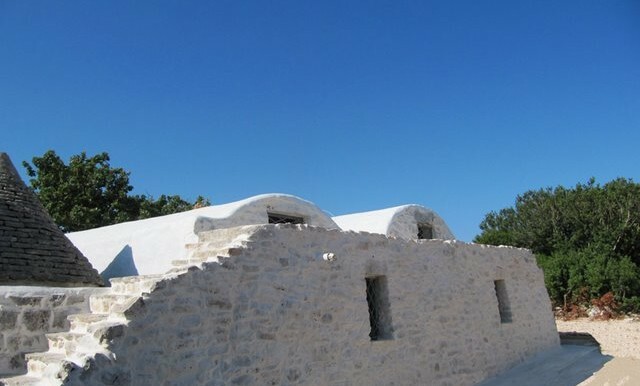 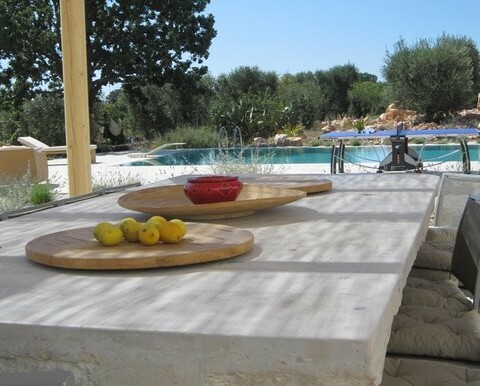 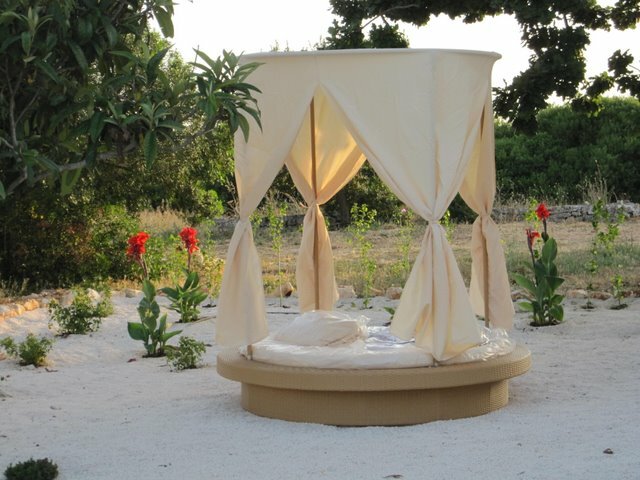 Surrounded by over 8 hectares (20 acres) of sunbaked olive groves, fruit orchards dotted with plum, almond, medlar, pear, quince, cherry, apple and fig trees and mediterranean maquis, Amore is a traditional trullo complex that has recently been fully restored using ancient stone masonry techniques. 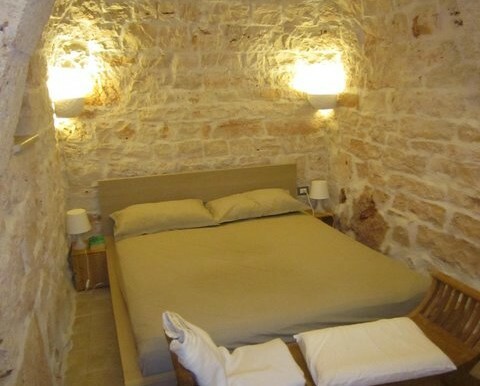 It provides luxurious accommodation while retaining the charm and character of the original building. 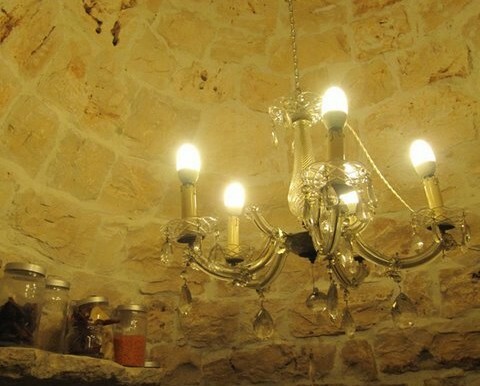 It oozes comfort and style and gives the feeling of stepping back in time. 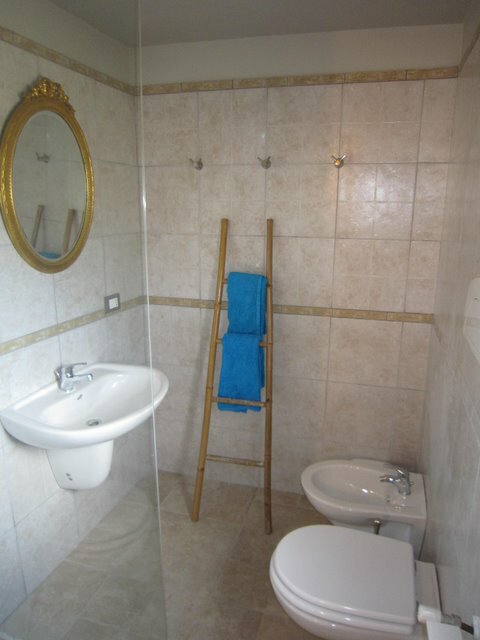 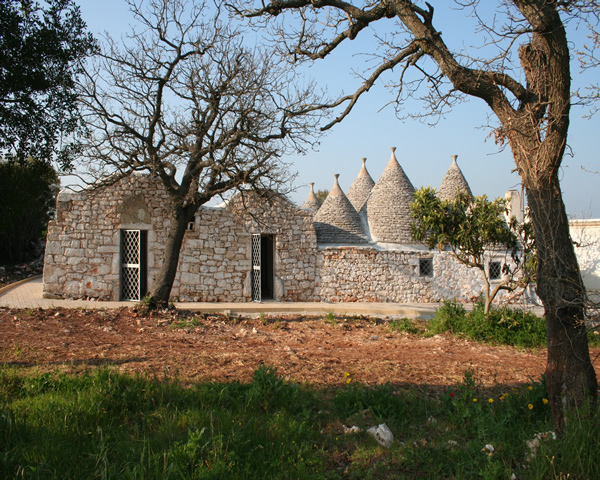 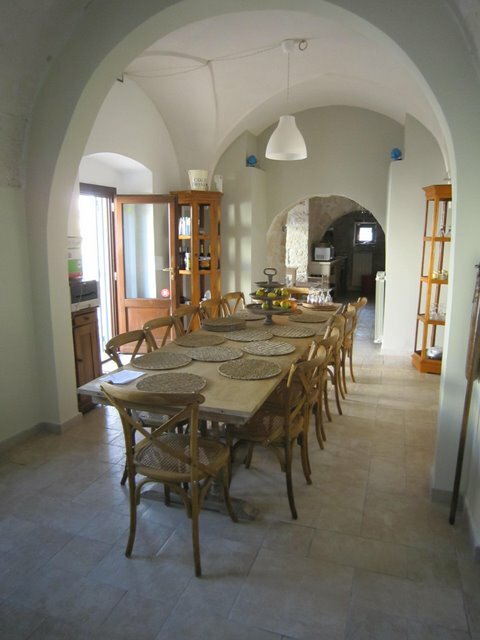 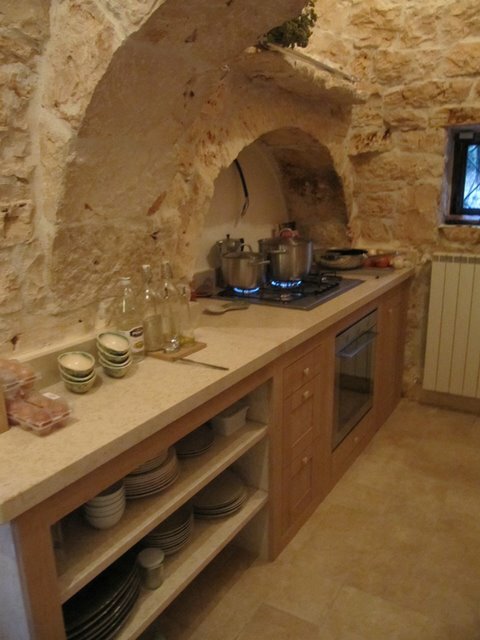 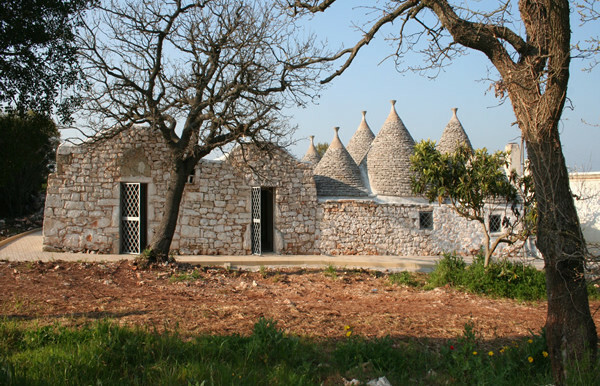 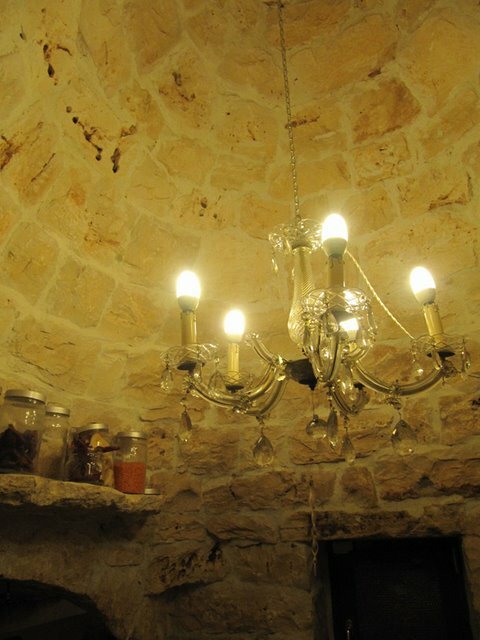 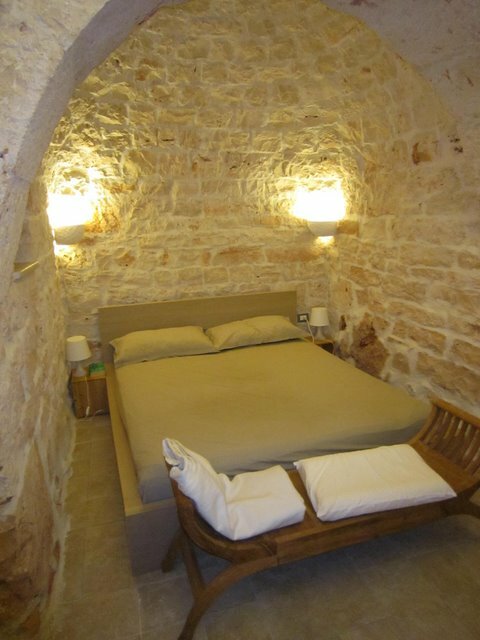 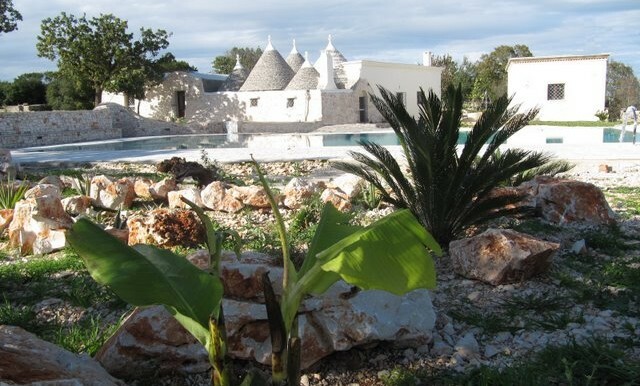 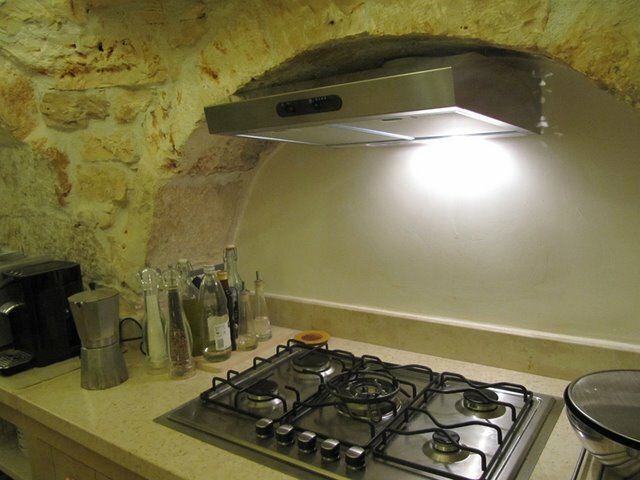 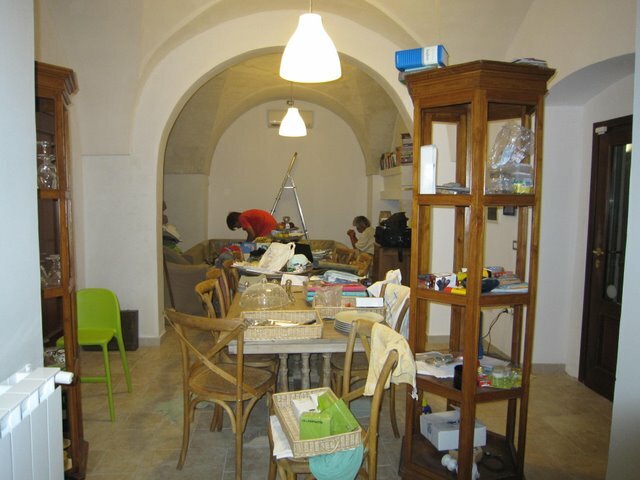 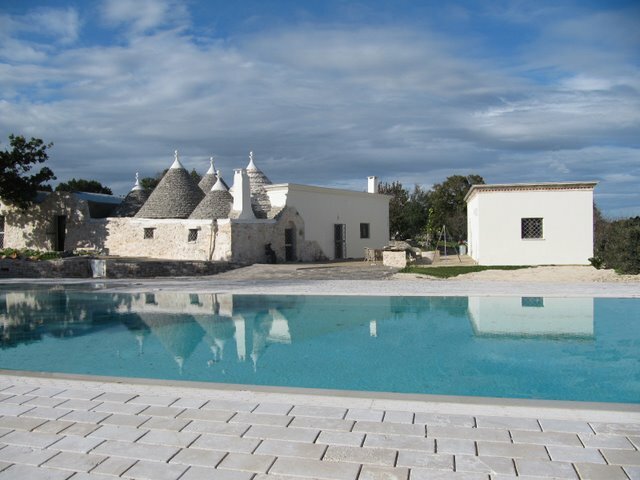 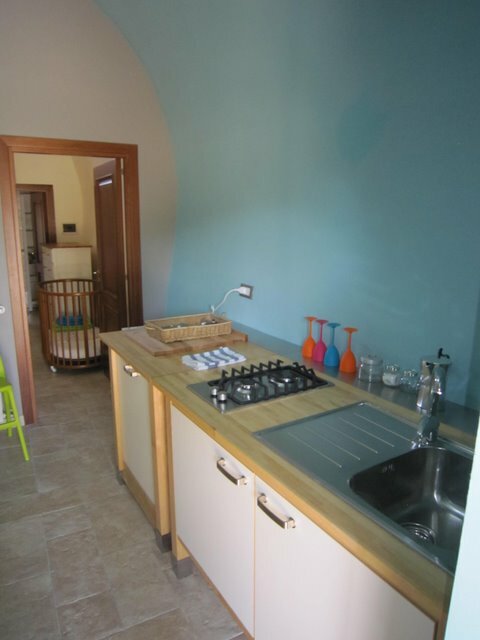 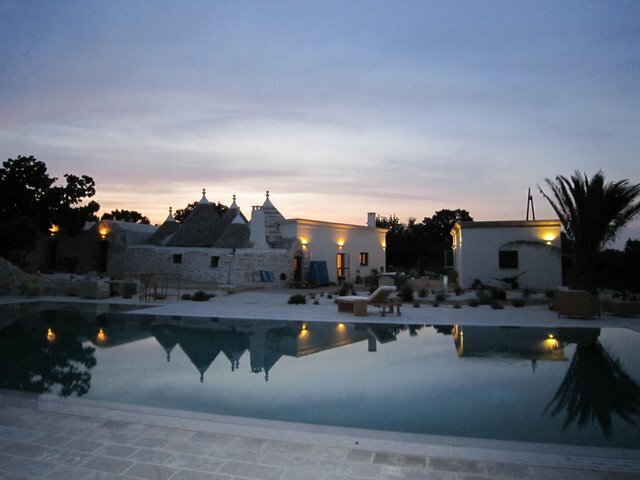 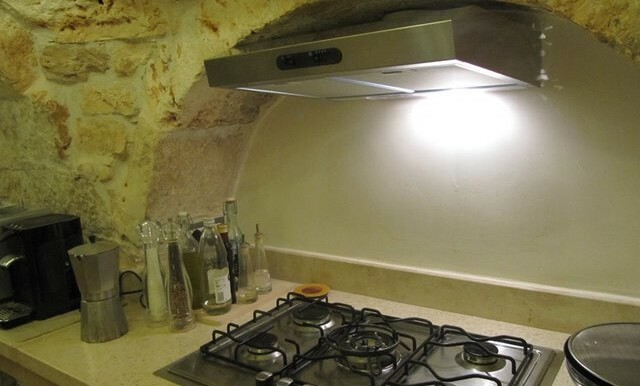 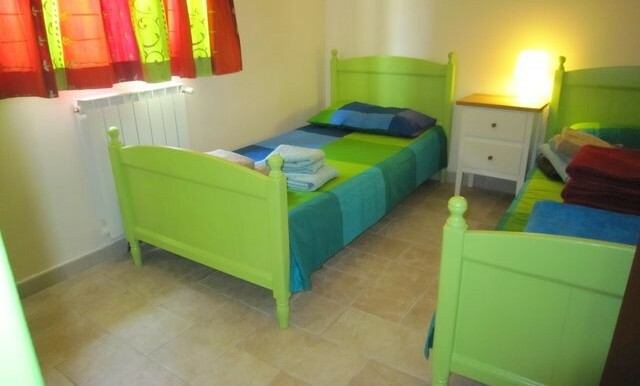 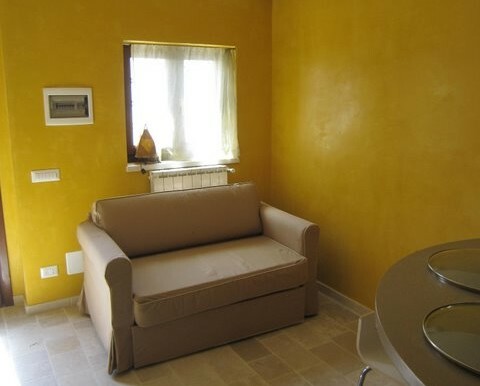 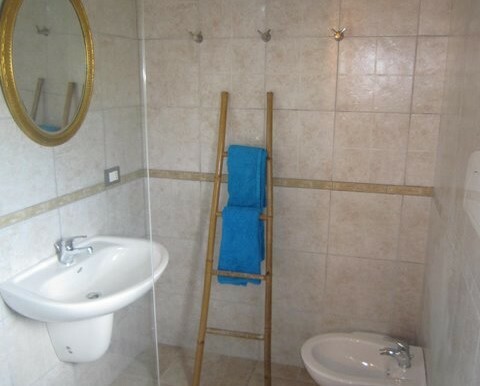 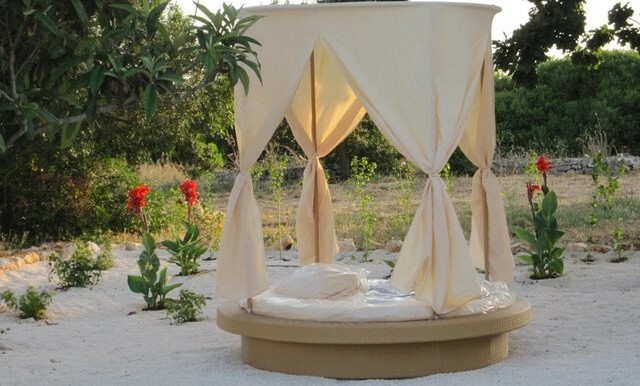 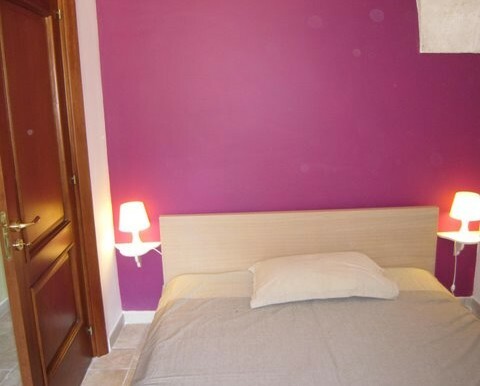 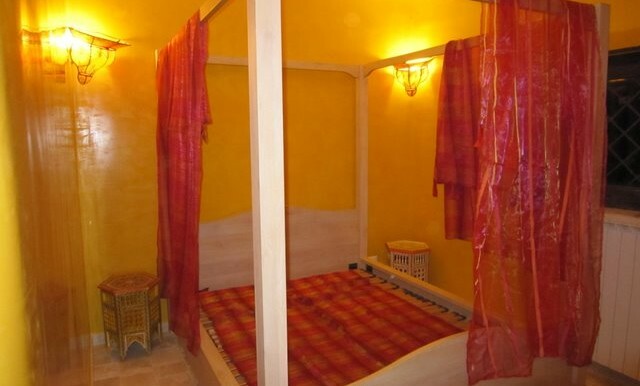 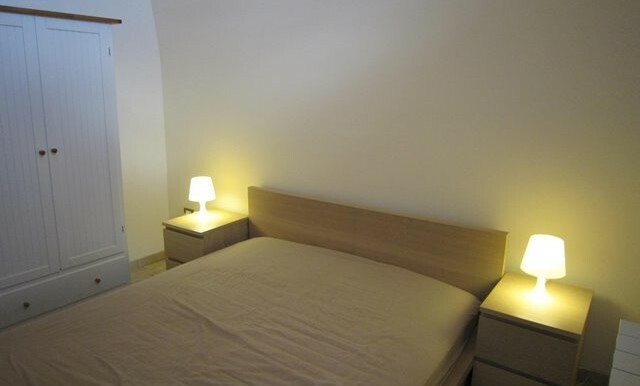 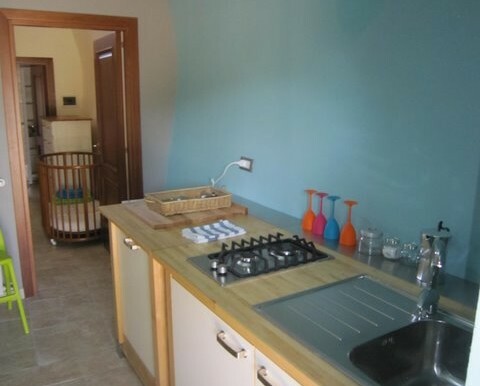 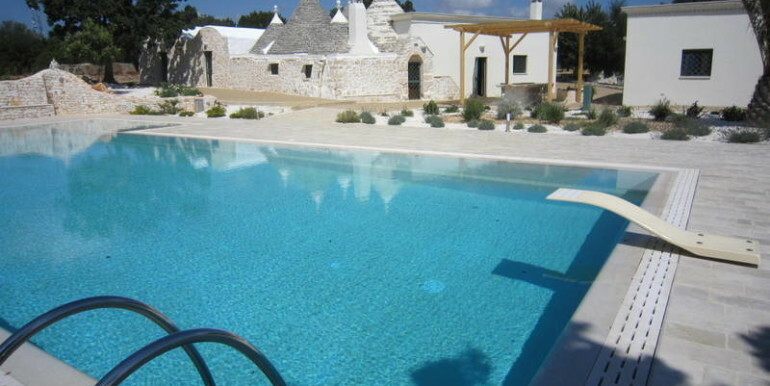 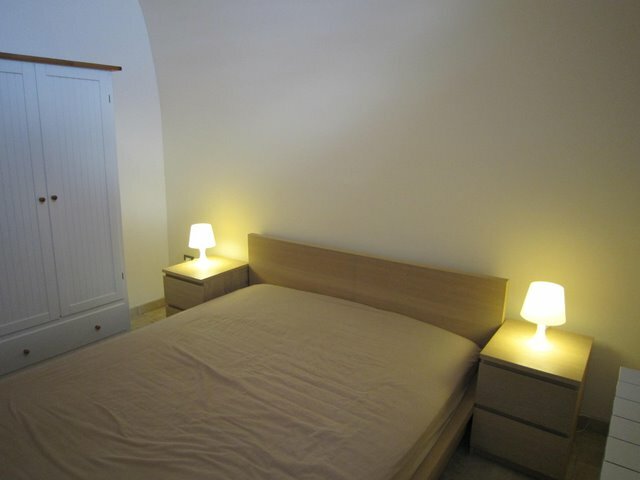 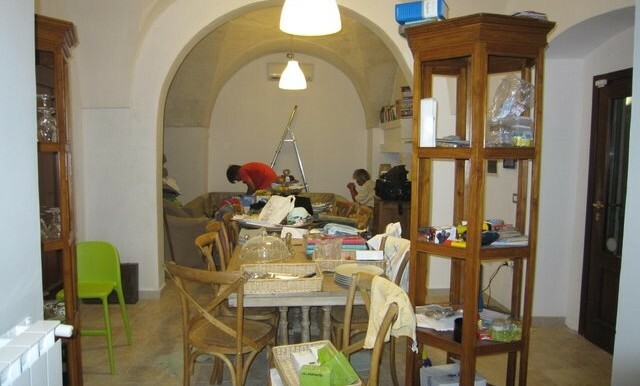 It consists of charming and tastefully furnished 6 cone trulli with 2 attached villette, 2 lamie with barrel-vaulted ceilings and a separate villetta. 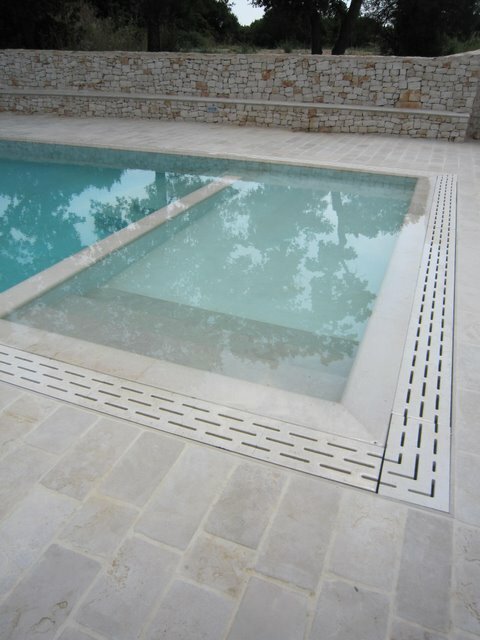 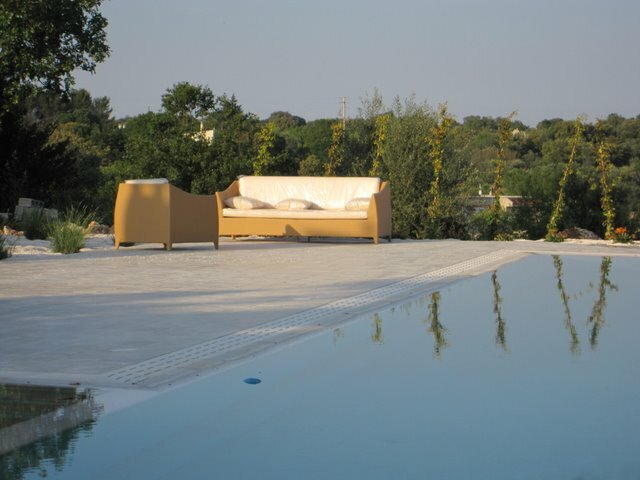 Unique 18 x 7 metre infinity pool! 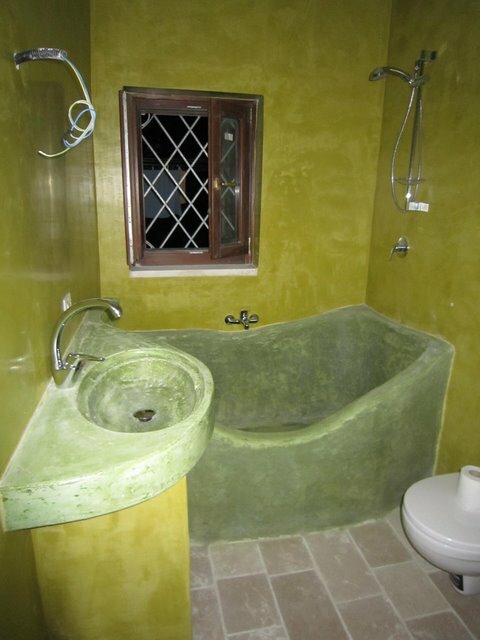 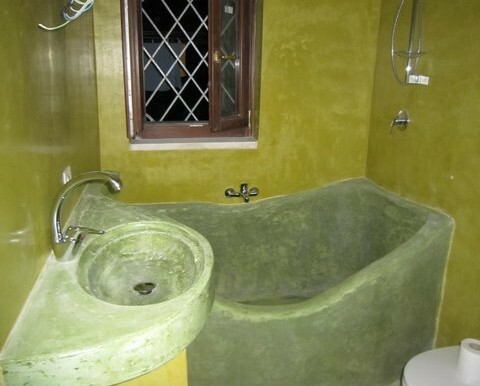 IDEAL FOR B&B. 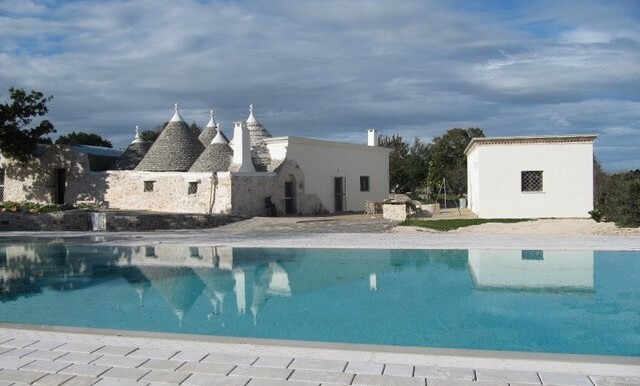 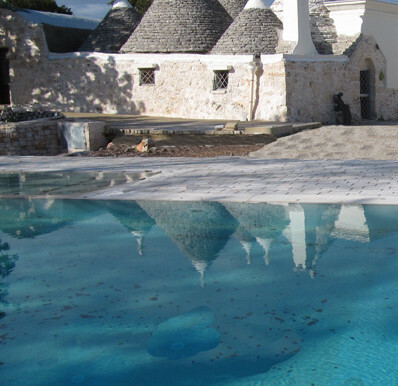 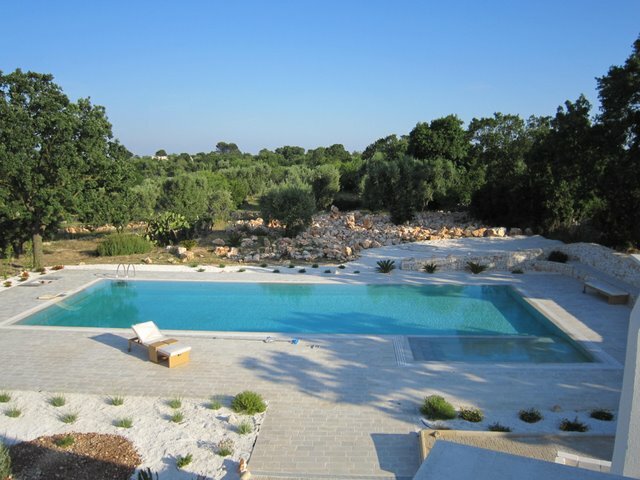 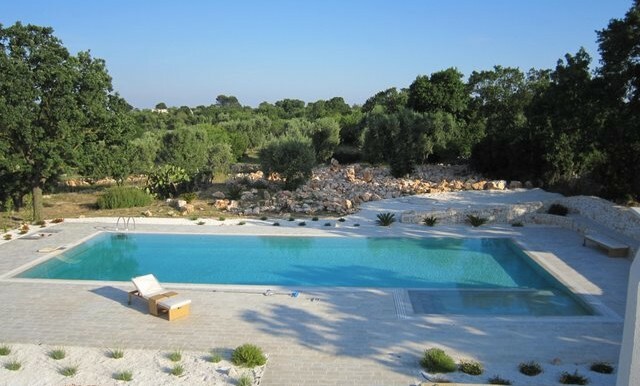 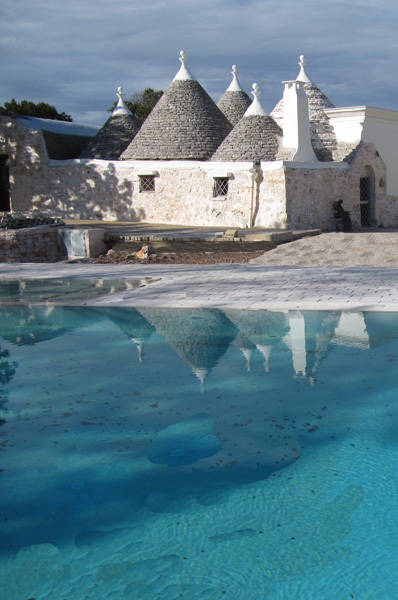 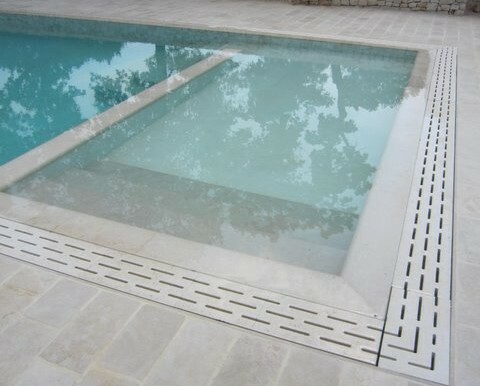 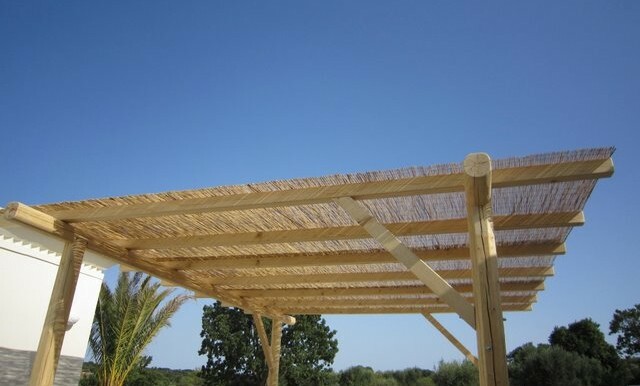 Immersed in nature, the trulli are surrounded by hundreds of olive trees and fruit trees and a gorgeous 18 x 7 metre (60 x 23ft) infinity edge “blu celeste” swimming pool which incorporates a 4 metre (13ft) children’s dipping pool with gently shelving steps to one end. 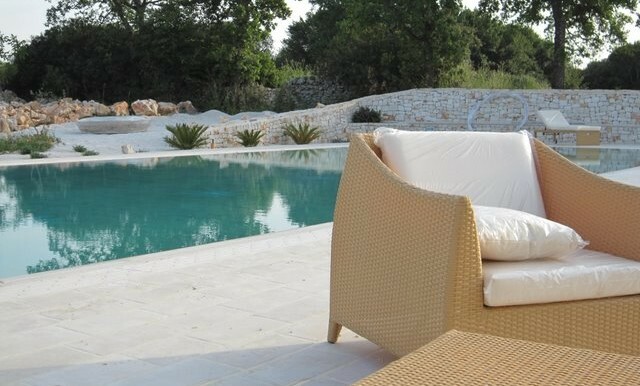 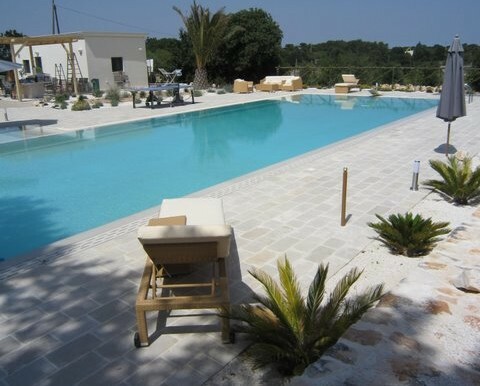 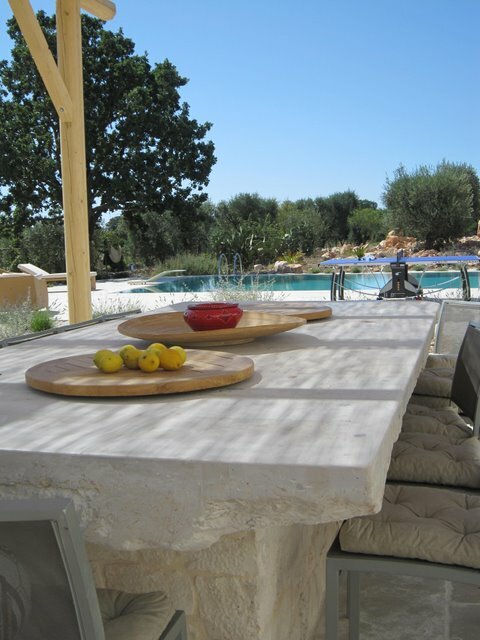 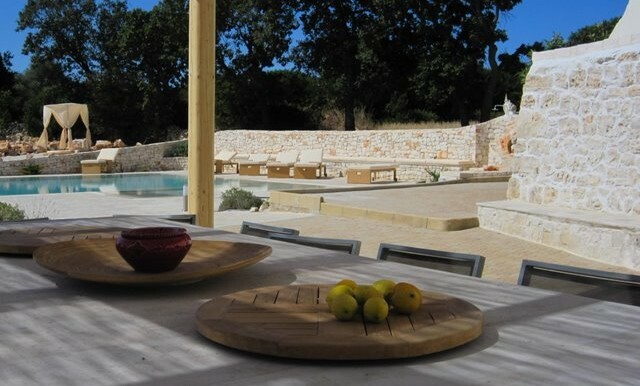 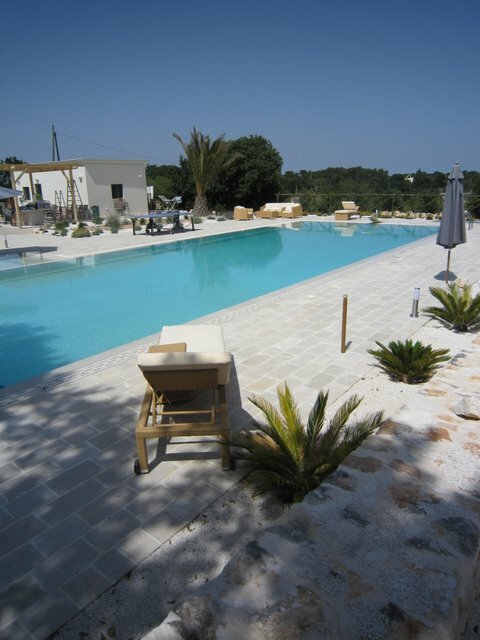 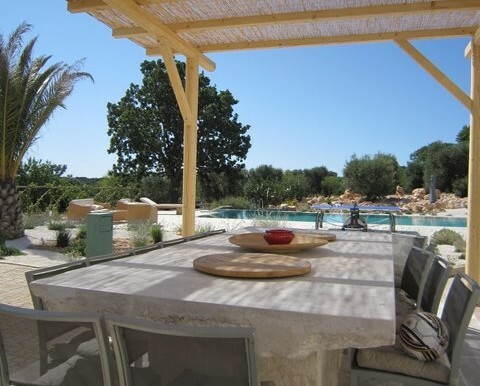 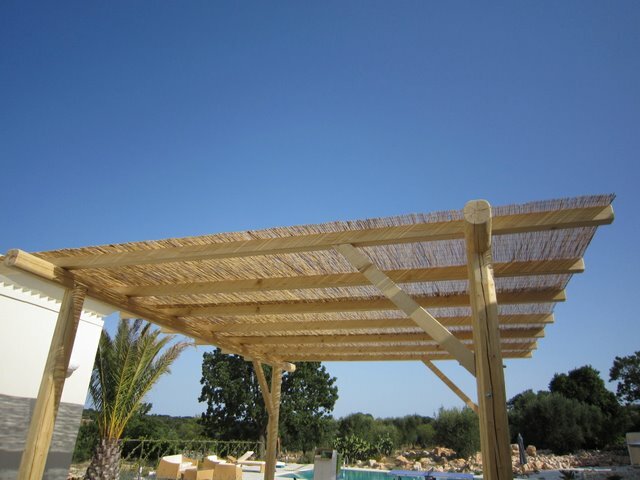 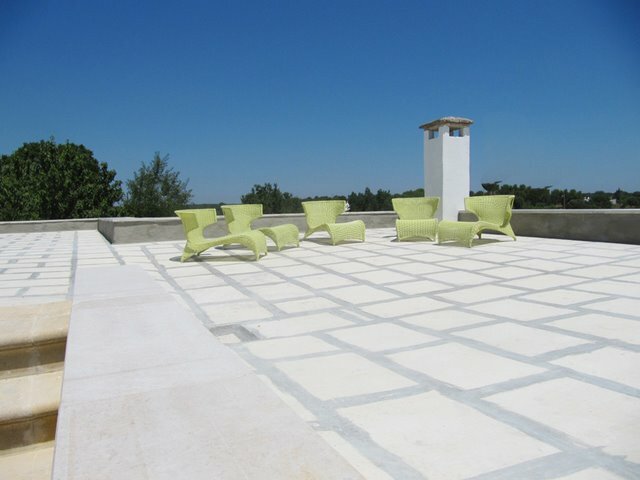 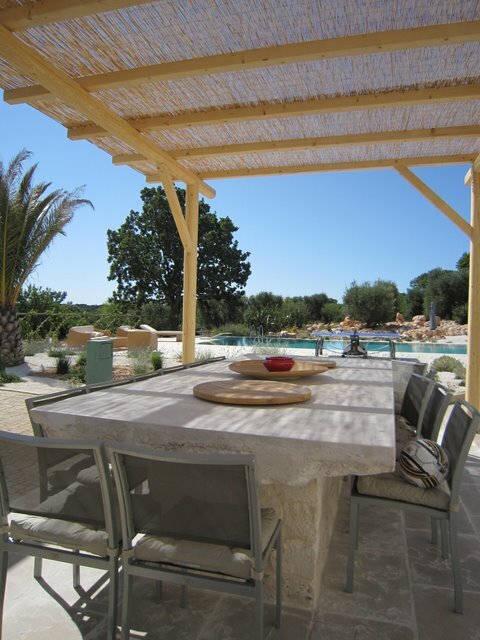 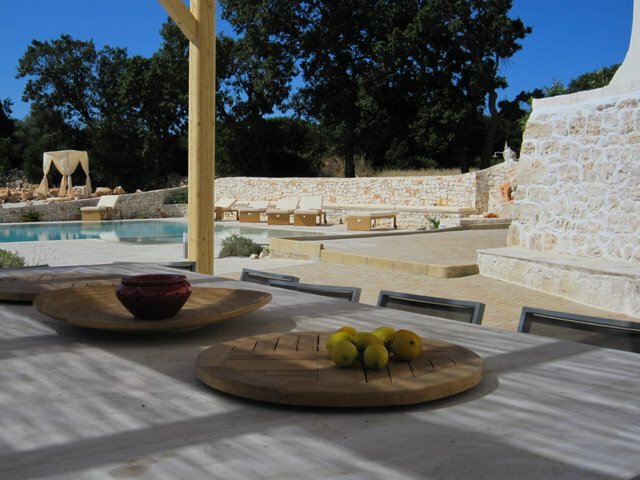 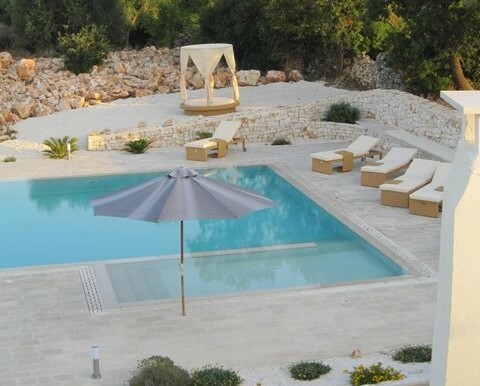 Lovely shaded drystone walled pietre di Trani terraces and patios with padded stone seats, sun loungers and umbrellas transform the garden and pool area into splendid open-air lounges, creating an enchanting place to relax. 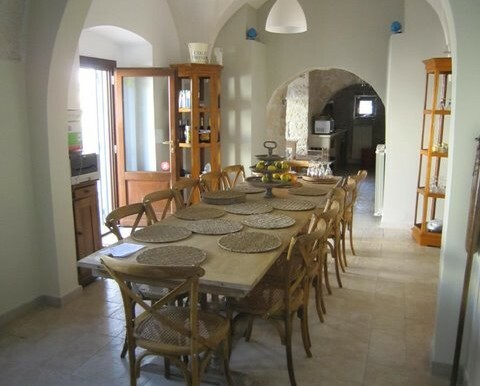 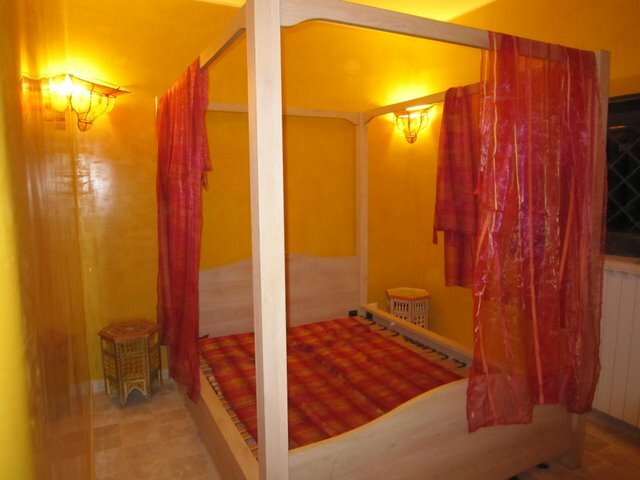 The property is cleverly split into self-contained private apartments and is available to sleep up to 16 people. 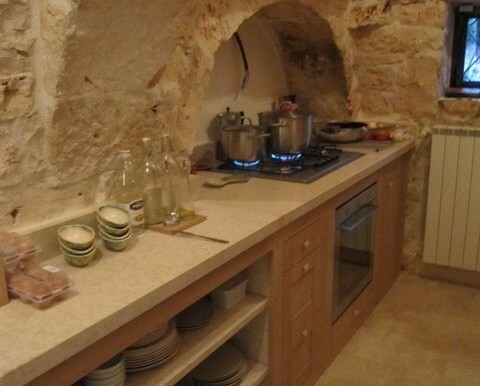 The accommodation in the main building includes a spacious living/dining area with star-shaped vaulted ceilings and stone fireplace, a large fully equipped modern kitchen with stone worktops located in the historic trulli and accessed by an external door, fully equipped for catering large groups with 5-ring gas hob, oven, fridge/freezer and dishwasher, a dining area seating up to 14 people, 4 double bedrooms and 2 bathrooms with shower. 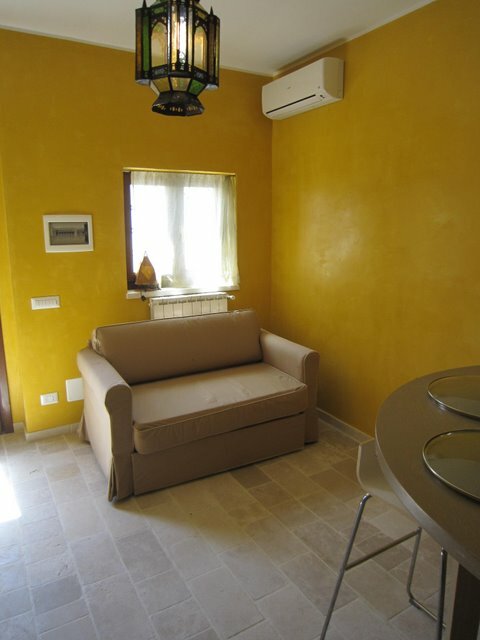 Full central heating and air conditioning. 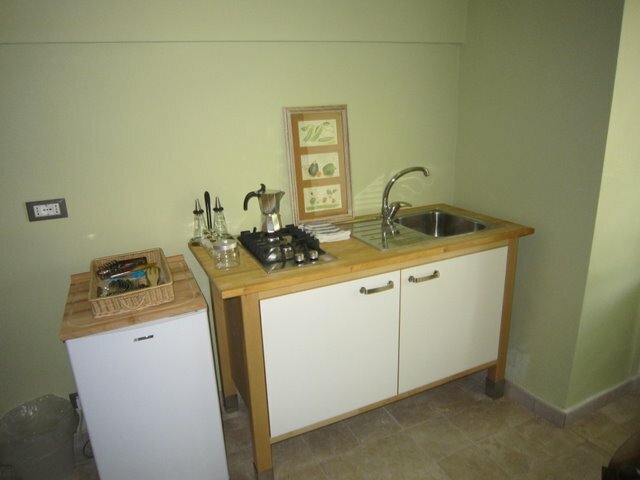 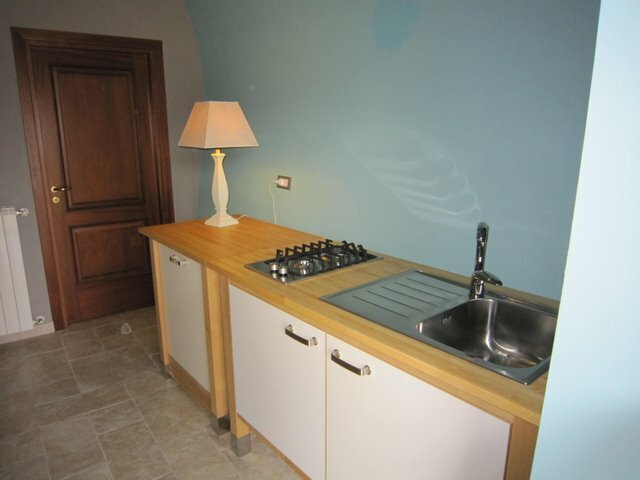 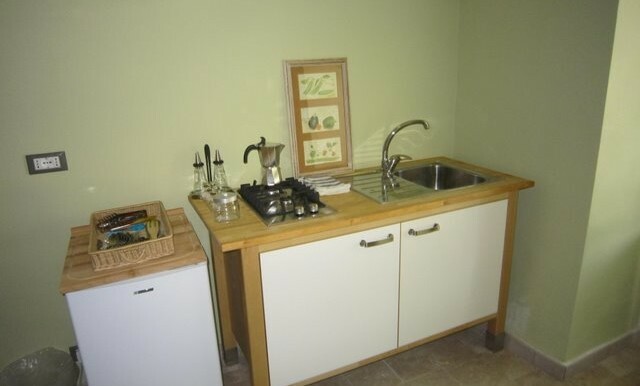 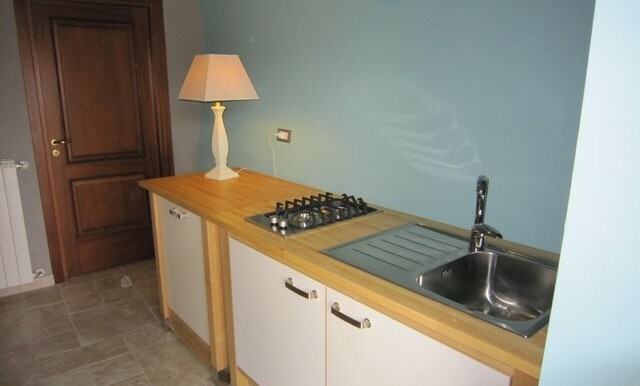 The two attached lamie both feature a small living area with fully-equipped kitchenette. 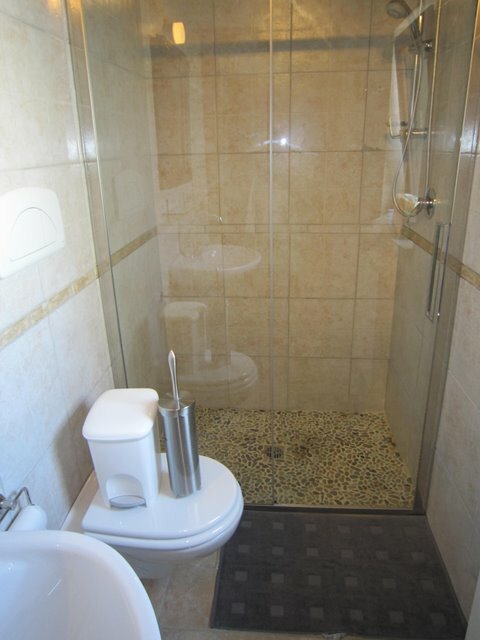 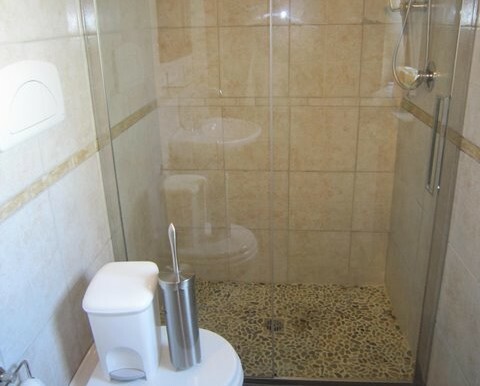 One lamia has one double bedroom with en-suite bathroom with shower, the other lamia features two double bedrooms and one en-suite shower room. 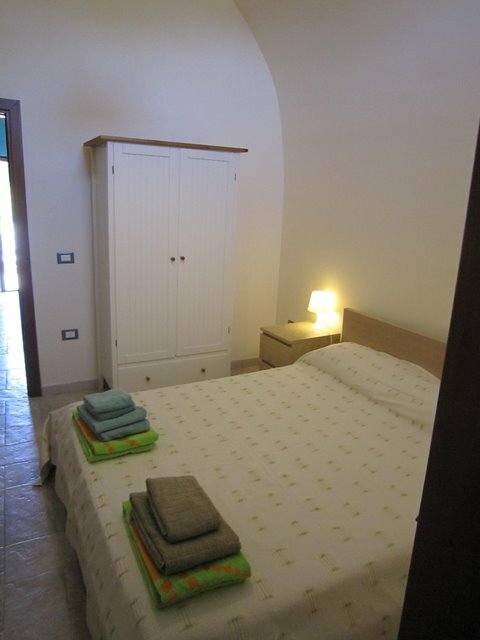 The separate villetta features a small living room and fully equipped kitchenette double bedroom and en-suite bathroom with bathtub and washing machine. 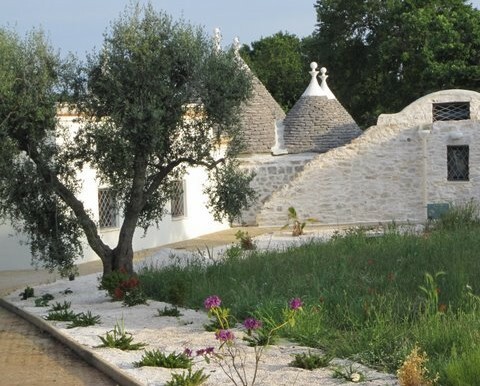 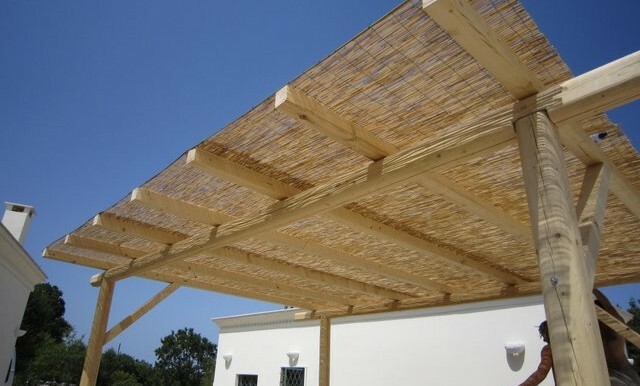 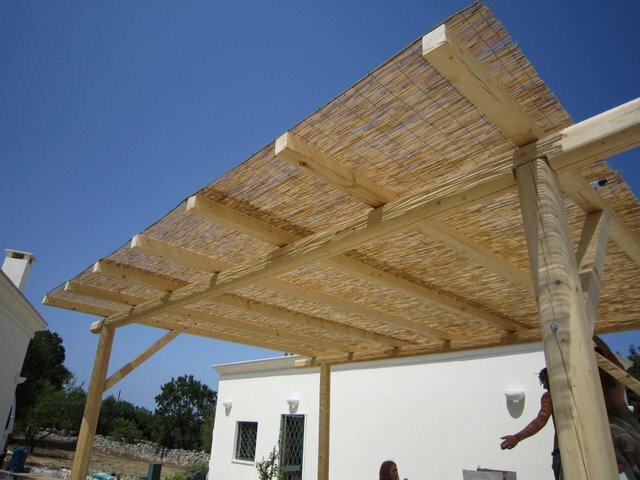 Between the main trulli building and the villetta is a large stone patio with dining table and chairs for al fresco dining during the warm summer evenings. 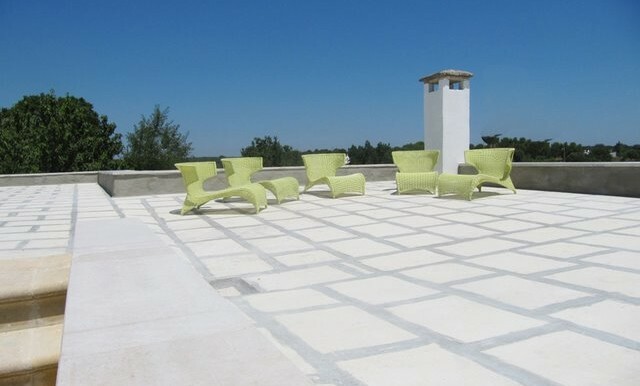 Moroccan-style roof terraces scattered with stylish outdoor sofas offer extensive panoramic views of the surrounding area. 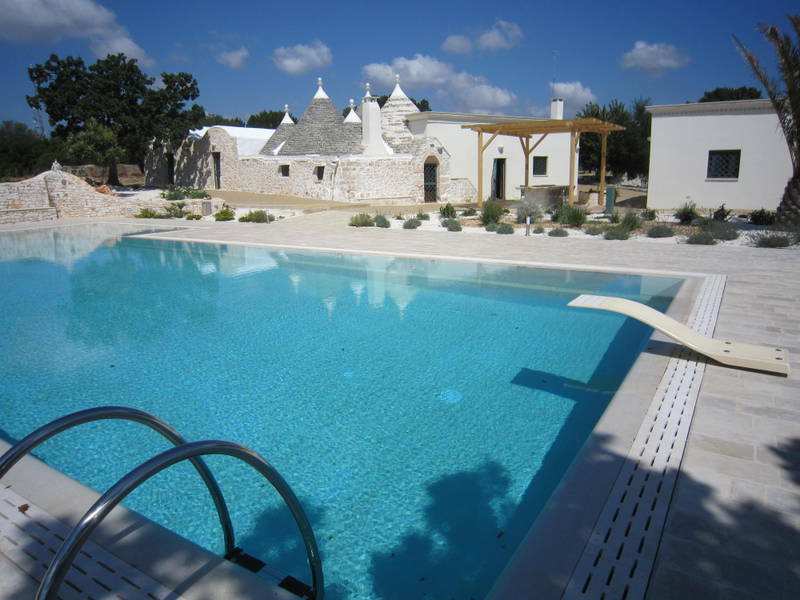 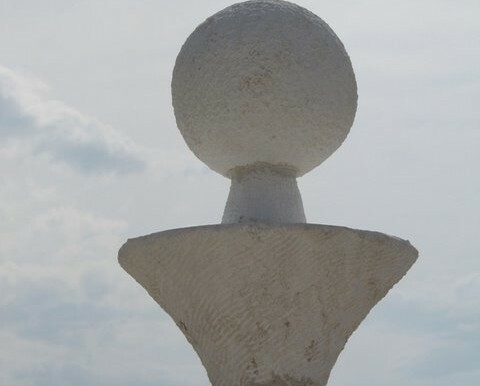 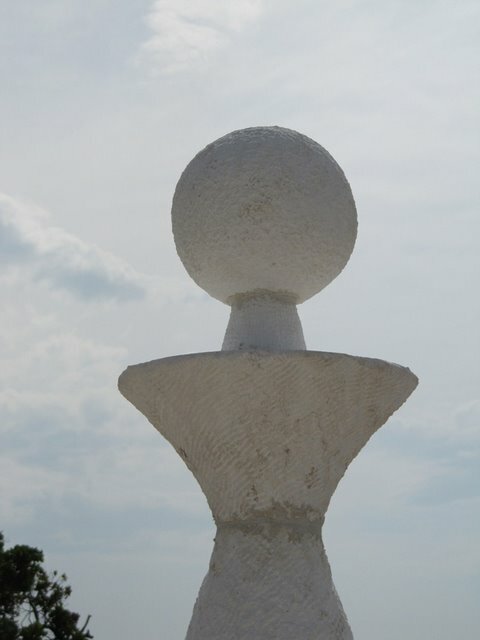 Regarding Pugliese history, Martina Franca is considered a ‘new’ town! 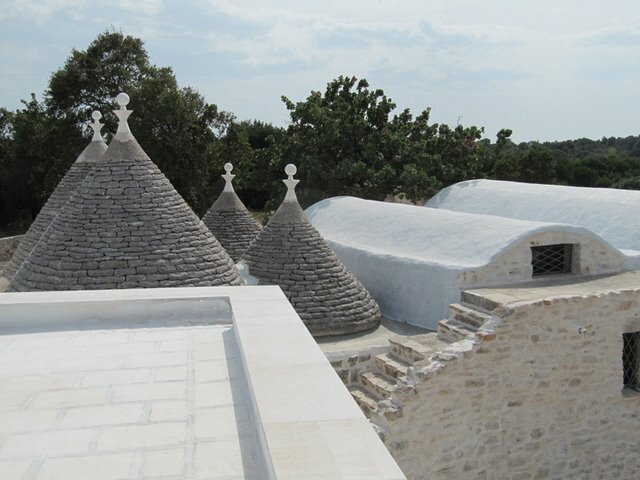 Today Martina Franca stands proud in its Baroque and medieval architecture and grand streets. 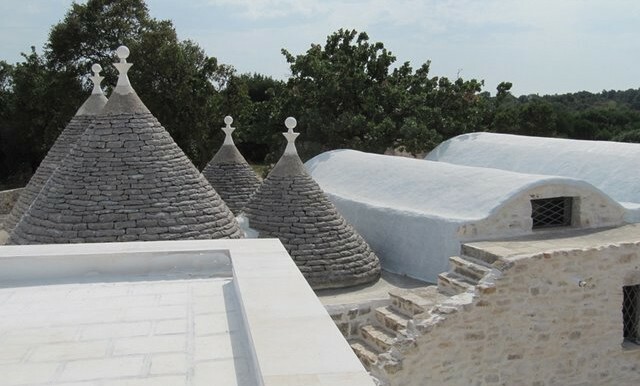 Martina Franca has a wonderful array of designer boutiques for shopping, an enormous market held every Wednesday that closes off many roads in the centre for drivers, a local wine DOC and also produces ‘capocollo’ made from the meat of wild boars from the surrounding woods. 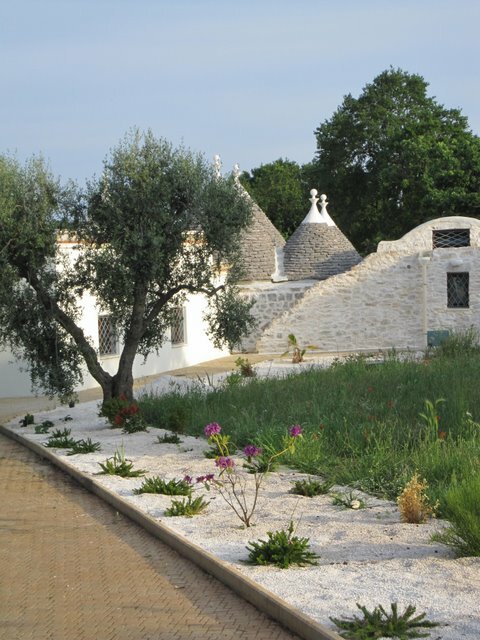 Martina Franca is also one of the three towns that marks the area known as the Valle d’Itria in Puglia; famous for its trulli. 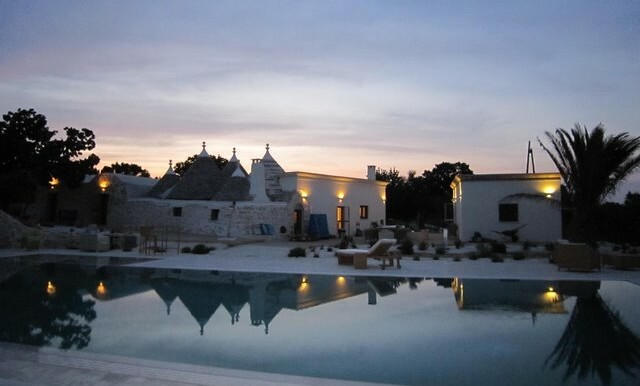 Culturally vibrant, Martina Franca also hosts an opera festival every summer with outdoor recitals of modern and classic operas, that brings opera lovers from around the world. 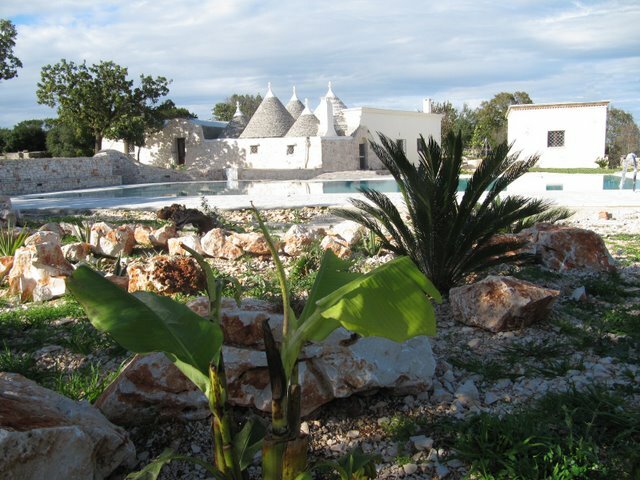 Martina Franca prides itself on its cultural heritage and it has many architectural examples in town stand proud to that.